There is a small but growing number of citizens that detest the increase in wind farms across Australia, Canada, Europe and the United States. Their goal is ostensibly to protect residents by banning new wind turbines from being built and site the cumulative negative impacts on animals, people and the environment as justification. Eric Rosenbloom of wind-watch.org sums up the complaint this way “It’s well past time to stop considering what wind might do and to examine what it has done. It has not reduced fossil fuel use or emissions. It has only ruined a lot of landscape and communities, fragmented habitat and killed birds and bats”. Opponents objections and concerns regarding wind turbines can be listed in eight distinct categories: Visual, Noise, Intermittent Power, Birds/Bats death, Altering Vegetation, Fire, Ice and Pollutants. 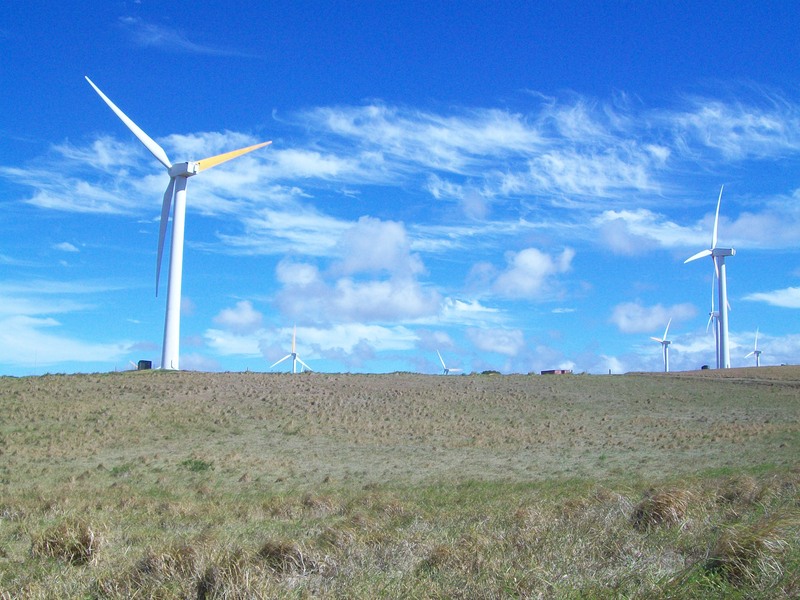 In this first article, Wind Farms – Cons, Part 1 the discussion is wind turbine noise. There are two aspects of the wind t. noise complaints, audible sounds and inaudible sounds. Humans have a hearing range from a frequency of 20 Hertz to 20 kilo Hertz, that is audible sound. Some animals such as bats and dogs can hear sounds beyond that range but for humans those frequencies are inaudible. Sound moves in waves of pressure. It vibrates the ear drum, it moves through air or water, gas and elastic solids. The power or intensity of that wave is the magnitude, measured in decibels (dB) which relates to the volume or loudness. The other component of sound is frequency. That frequency with a high number has a tightly spaced repetitious wave pattern of compressions. A low frequency sound has compression waves spaced further apart. Drums or bass are types of low frequency sounds. Sub-aural low frequency vibrations is one of the complaints about wind t. noise. Some individuals claim a higher sensitivity than others and the inaudible sounds created by turbines purportedly cause them anxiety and other noise related symptoms. Opponents of wind turbines say the audible noise affects animals, lowers property values, causes suffering and is a serious risk to health. Several doctors have noted a marked increase in depression for some people living near wind farms. Medical journals recognize a wide range of symptoms associated with noise that affect health. Noise symptoms: poor concentration, anxiety, emotional stress, nervous complaints, nausea, headache and instability. Symptoms may also include a weakened immune system, sexual impotency, argumentative mood, social conflicts, panic attack, neurosis, psychosis and hysteria. Clearly wind t. noise is a threat to society and communities everywhere. Nobody wants to see a bunch of unstable hysterical people running around a wind farm in an argumentative emotional mood being nauseous. Wind turbine noise syndrome is a con. The power of suggestion conveyed by various media might have much to do with the anticipatory audio experience of wind turbines. Nina Pierpont a pediatrician in Malone, New York coined the term Wind Turbine Syndrome in a book she self published in 2009. Since that time her theory (promoted and distributed by her husband Calvin Luther Martin) of health related issues from exposure to wind turbines has been used by anti wind farm activists to foster fear and alarm. Fact is Nina Pierpont’s studies are flawed. Bad science may generate news headlines and used as a banner justifying a cause, but in the end if it is not supported by expert peer review it is still bad science. Simon Chapman, a professor of public health at Sydney University, has said that wind turbine syndrome is not recognized by any international disease classification system and does not appear in any title or abstract in the massive US National Library of Medicine’s PubMed database. He says the term appears to be spread by the vector of anti-wind farm activists. The publication Wind Turbine Sound and Health Effects- An Expert Panel Review 2009 is an extensive analytical review of a large body of peer reviewed literature on sound and health effects in general and on sound produced by wind turbines. The conclusions by this expert panel are: There is no evidence that audible or sub-audible sounds emitted by wind turbines have any direct adverse physiological effects. The ground-borne vibrations from wind farms are too weak to be detected by, or to affect, humans. The sounds emitted by wind turbines are not unique. There is no reason to believe, based on the levels and frequencies of the sounds and the panel’s experience with sound exposure in occupational settings, that the sounds from wind turbines could plausibly have direct adverse health consequences. The British Acoustics Bulletin published in 2011 their 10th independent review of the evidence that wind farms are causing annoyance and ill health in people. For the 10th time it has emphasized that “annoyance has far more to do with social and psychological factors in those complaining than any direct effect from sound or inaudible infrasound emanating from wind turbines”. What about the whooshing? Wind turbines can and do produce sounds. There is the first type which is produced by moving mechanical parts (gear box, electrical generator, bearings, etc.). Modern turbines are already extremely quiet and engineers continue to make technological advances using new materials and other improvements at the design stage such as incorporating acoustic insulation for the turbine housing. Another example of innovation is the direct drive turbine. These machines have no gear box or drive train and no high speed mechanical components. The second type is aerodynamic sound, caused by the revolutions of the blades passing through the air – the whooshing. The blades of a wind turbine are designed like any other wind foil to create lift. The same principle as an aircraft wing. The wind passing over the leading edge of the blade will start the movement and thus rotation. The speed of blade rotation is in direct proportion to the speed of the wind. The sound made during the rotation is also in proportion to the wind speed and the blowing wind actually masks most sounds of blade aerodynamics, more so if the wind moves through trees, corn stalks etc. One innovation being researched is a saw tooth design at the trailing edge of the blade. The concept is to mimic a birds feather such as an owl which is known for silent flight. On the decibel scale the smallest audible sound the human ear can detect is near 0 dB. A sound 10 x more powerful is 10 dB. A sound 100 x more powerful than near total silence is 20 dB. A sound 1,000 x more powerful than near total silence is 30 dB. A Jet Engine at takeoff is 1,000,000,000,000 x more powerful than 0 dB. Here are some common everyday sound levels. 30 to 55 dB are regulated limits for wind farms in most countries. The Canadian Centre for Occupational Health and Safety has required that at a distance of 350 meters outside, a wind energy project would have a noise level between 35 and 45 dB. In Sweden sound pressure level for noise from wind turbines is 40 dB near dwellings. Denmark has a limit outside dwellings of 45 dB and for sensitive wild areas 40 dB. French legislation specifies an emergence of 3 dB over background noise at night and 5 dB over background noise daytime. Great Britain also considers background noise and population density in calculations but wind farm noise should be limited to an absolute level within the range of 35-40 dB. In the U.S. individual states and counties regulate wind farm noise standards and guidelines. These regulations vary in limits from a 55 db daytime to an extremely low 30 dB in Whatcom County in Washington. Most states and counties are well within the range of World Health Organization recommendations for any type disturbing evening noise to be limited to 40 dB. This entry was posted in Air, environment, local economy, politics, the hungry brain and tagged Earth, health, nature, sustainable. Bookmark the permalink. 31 Responses to Wind Farm – Cons, part 1. Hello earthstonestation, I have linked all your wind articles from my page here. Thank you kindly. I double and triple checked the facts. I did not just make this stuff up. Lets stop some of the oft repeated misconceptions. Yes! I always thought that those who complained about the noise from wind farms were being a bit precious. I bet after a while (an hour or two) you wouldn’t even hear them; and as for “birds will be killed by the blades!” really? Wouldn’t the birds just fly around them? OK So just for the sake of argument let’s say the critics are right, wind turbines cause depression. If I was given the choice of dying from particulate induced cancer or simply suffering depression, I know which I would choose. I lived in a moderate size town before and it was the traffic and smell of exhaust that depressed me. Moved back to the country. Always thought-provoking, and always showing both sides of the coin. Thank you for an informative read! You are kind. Gracias amiga. A hungry brain here. Share what you learn…it all started once upon a time with sharing fire. I believe it was Denmark that had an independent study done of the effects of their offshore wind farms on wildlife. Above the water, they found that most bird simply avoided the turbines, while one species’ numbers actually increased after the installation of the turbines. Underwater, the presence of the turbines actually had very positive effects. The pylons and their bases acted as anchoring surfaces for certain species and the reduced boat traffic (because of the presence of the pylons) resulted in calmer and cleaner waters, which helped increase the population of many aquatic species. You are right, (like for a lot of new things) there is a lot of misinformation on both sides, and also a danger of not separating out the different ways turbines are sited and used when making a judgement. I am in 2 minds about wind turbines, or rather wind farms. On the one hand I would be interested in getting one installed on our land – huge amounts of wind here, not particularly attractive area, places it can be sited so as to not spoil neighbours’ views etc. I also see sizeable wind farms in places around here (UK) which don’t really have much impact on visual amenity. In fact sometimes they kind of ‘suit’ the landscape in a funny kind of way, and are away from most people’s houses. However, where it breaks down for me is that as a result of EU grants for wind farm establishment there are a whole bunch going up in areas of high conservation value, or incredible beauty which do NOT look ok at all with a bunch of turbines. Massive windfarms, with the attendant installation of massive ‘super pylons’ cutting a swathe through our most beautiful, wild and environmentally sensitive areas. And as a very good friend of mine, who works in the industry, says: ‘at the end of the day, environmental concerns aren’t a problem – they are just another section added to the back of our siting report’. Rather like the rush for biodiesel creating an unintended self-defeating consequence for rainforest areas, I can’t help but wish there was balance in the windfarm approach to allow a more holistic way of using them. Maybe a shift to smaller, more ‘localised’ usage, as opposed to trying to be a net exporter to other countries at the expense of the producer country’s landscape heritage. Allison you hit it square on the head and I agree with you 100%. Smaller localized use, siting is VERY important and keep an eye on BIG money taking advantage. Thank you much for your thoughts. Yes, exactly! Except you managed to put it in 3 sentences 🙂 This post has been really helpful for me to clarify my own thoughts on local ‘holistic’ wind turbines/farms vs big business / govts cashing in for the short term gain. More on Wind Farm Cons in a couple weeks. Thanks earthstone station. I wonder if Nina Pierpont included the health evaluation of occupants near the “whooshing” of farm windmills that have been in use for centuries. Their blades are considerably closer to the ground and therefore supposedly more audible, especially considering the materials used in the construction likely have less “smooth” operation than the newest technology. I have never lived near a windmill, so I can only read about the benefits and complaints. Images of the farms appear to me as sleek sculptural forms – quite beautiful and enticing in many respects – but also a bit scary. I would not want to be a bird – I would feel like a fleet of giant airplanes were heading toward me, but then again, I’ve never been a bird to know how they “think”. I can sympathize with ocean front dwellers and beach visitors. Certainly the natural view would be drastically altered – perhaps even more so than facing oil derricks lining the sunset in the Gulf. There certainly challenges to obtaining clean energy. I very much agree, however, that no matter how “good” the intentions, the science or creative ideas at the time; a careful review of how things actually worked out is crucial. I think the audio health case is solved. Not an issue. Mahalo for joining the discussion Candy. Developing alternative sources of energy is imperative for future generations.Research and development will continue to make improvements as demand increases. I agree completely that all environmental and social consideration be given to siting and scale. Large corporations will take advantage when they can and that should be the arena of concern. When you add a second or third turbine the sound does not double then triple but goes up by about 3 dB and that number then gets reduced as you factor in the distance of each turbine in the row from the “listening” point. Thanks Tess. Engineers continue to improve the efficiency and reliability with research. Provocative. I’m not sure about wind turbines. I keep thinking about the summer my small man-made pond of goldfish was getting too murkly. I went out and bought a pump and filter. The once happy fish were jumping OUT of the pond. I don’t think they liked the vibration in the water. Someone says there’s no noise from turbines. I can’t say but feel we don’t know enough about about them yet. Especially when you are talking about rows upon rows of them in one area. Mahalo Native girl for your support of environmental education. Thank you for this. We need more facts in the press and less hysteria. I have stood under 2 turbines and they are quieter than the wind in the trees in our garden! Me to Cathy. I’ve been around several and have never heard anything objectionable and often nothing at all. The press thrives on bad news and that usually gets passed on and creates preconception. Let’s support renewable clean energy. I had the opportunity to stand 10 feet from the base of a large turbine. I actually found the sound quite soothing! Sound will travel further out but even at a distance I had to listen closely to discern what was wind and what was the generator. Most times I could hear nothing at all. When I did hear it brought a smile. I’ve been waiting a long time for non polluting energy alternatives. try living 500 meters from a 126 meter wind turbine and add 6 more at varying distances from your own front door. 20 dB is roughly the night time dB without wind turbines….with them it gets close to 50 dB when the wind blows….and by the way…this is 24 hrs a day and 7 days a week that the night time and day time in the peaceful country side can suddenly treble in sound when these things kick in. Maybe you think it’s ok to force inhabitants of the country side to put up with it….low frequency sound from the turbines cuts through the windows and roof space….the only way to get rid of the sound is to move house. most country side people are there for the quite…I say you need to think more before you speak sir. Aloha Maureen, All comments are welcome here. I don’t know where you live but most countries have noise restriction levels, usually around 35db, 50db seems high.50db is comparable to an electric shaver or refrigerator. I live in the country myself, quiet. My mother had a highway built behind, noisy. Electric power plants have to be somewhere – would you prefer a coal burning plant next door instead? You do use electric don’t you? I sympathize; but wind is much cleaner energy and we need clean energy. As the population grows someone will be inconvenienced by something. I’ve heard and seen lots of big turbines – My Mothers highway is much worse. Thanks again for your views. there are 5 posts on wind cons by the way.